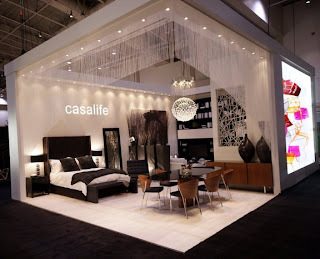 2009 has been busy and I want to thank everyone who came out to see us at IDS and the National Home Show. Planning and designing for these shows takes months of work and involves our entire team. We’re very hands on and both design and build the booth ourselves. 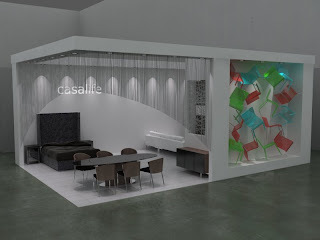 Designing is a part of my job that I really enjoy and you can expect to see more designs from me showing up at casalife this year. The Bokara Wall System I most recently designed was featured at IDS and the National Home Show. Below are the details about the Bokara and a rendering of it. Tell me what you think. 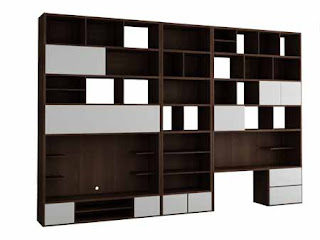 Deeper than a typical wall unit at 20 inches the Bokara system is totally customizable and includes a desk with built in filing drawers and closed storage. Some day people may need to transition from high loft ceilings and condo space to homes with more space and less height and I wanted a piece of furniture that could work for both and move with them. I researched the market and there didn't appear to be anything else like Bokara. Tastes and needs are unique and I wanted to offer our customers something that would be flexible enough to reflect their individual lifestyle.